While we prepare for our upcoming exhibitions, here is another short feature from our Jamaica Biennial 2017 archives. Camille Chedda was born in 1985, in Manchester, Jamaica. She attended the Edna Manley College of the Visual and Performing Arts (BFA Painting, 2007) and the University of Massachusetts, Dartmouth, Massachusetts (MFA, 2012). Her most recent exhibitions include the 4th Ghetto Biennale (2015) in Port-au-Prince Haiti, and Jamaican Pulse: Art and Politics from Jamaica and the Diaspora (2016) in Bristol, United Kingdom. She was the recipient of the inaugural Dawn Scott Memorial Award for her submission to the Jamaica Biennial 2014 and has participated in several artist’s residencies, at Alice Yard in Port of Spain, Trinidad in 2015 and the Art Omi International Artist Residency in Ghent, New York, 2016. 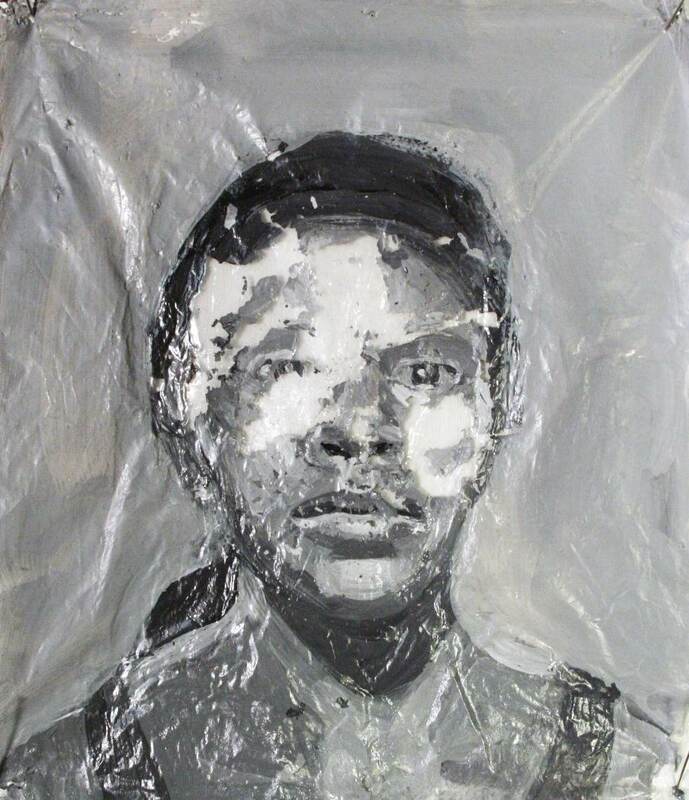 Chedda works in painting, drawing and mixed media and explores issues of violence, visibility/invisibility, and race. She is based in Kingston, Jamaica. The National Gallery of Jamaica extends heartiest congratulations to Ebony G. Patterson, the winner of the 2014 Aaron Matalon Award, and Camille Chedda and Kimani Beckford, the co-winners of the inaugural Dawn Scott Memorial Award. 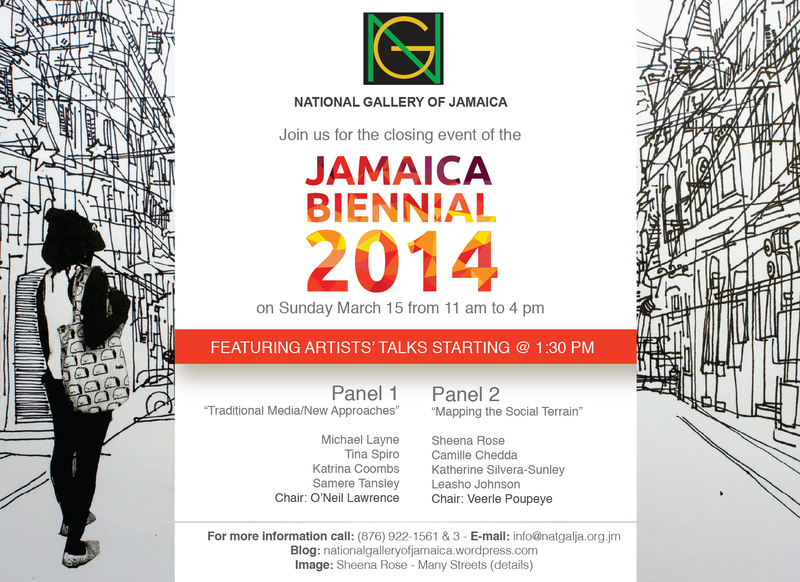 Both awards are attached to the Jamaica Biennial 2014 exhibition, which opened with a week of events from December 7 to 14 and continues until March 15, 2015 at the National Gallery of Jamaica and Devon House in Kingston and at National Gallery West in Montego Bay. The awards were announced at the Biennial’s main opening reception at the National Gallery on Sunday, December 14. The Aaron Matalon Award is granted to the artist who, in the opinion of the combined Exhibitions and Acquisitions committees of the National Gallery made the most outstanding contribution to the Biennial. The award is named after the National Gallery’s late Chairman and benefactor, the Hon. Aaron Matalon, OJ. Awardees receive a unique medal, hand-crafted by the noted jeweller Carol Campbell, and a monetary award. Previous awardees include Phillip Thomas, Norma Rodney Harrack, Renee Cox, Omari Ra and Jasmine Thomas-Girvan. The 2014 Aaron Matalon Awardee Ebony G. Patterson is a graduate of the Edna Manley College (BFA) and the Sam Fox College of Design and Visual Art at Washington University in St Louis (MFA). She is presently an Associate Professor in the Fine Arts department of the University of Kentucky. Patterson is one of the most outstanding and internationally acclaimed artists to emerge in Jamaica in the last decade and she has received several awards, including the 2011 Rex Nettleford Fellowship in Cultural Studies and the 2012 Bronze Musgrave Medal. Ebony G. Patterson’s is a uniquely Caribbean aesthetic that melds elements of “high” and “low” art and draws from carnival costuming, Haitian sequined flags, and above all the “bling” of Jamaican Dancehall fashion. 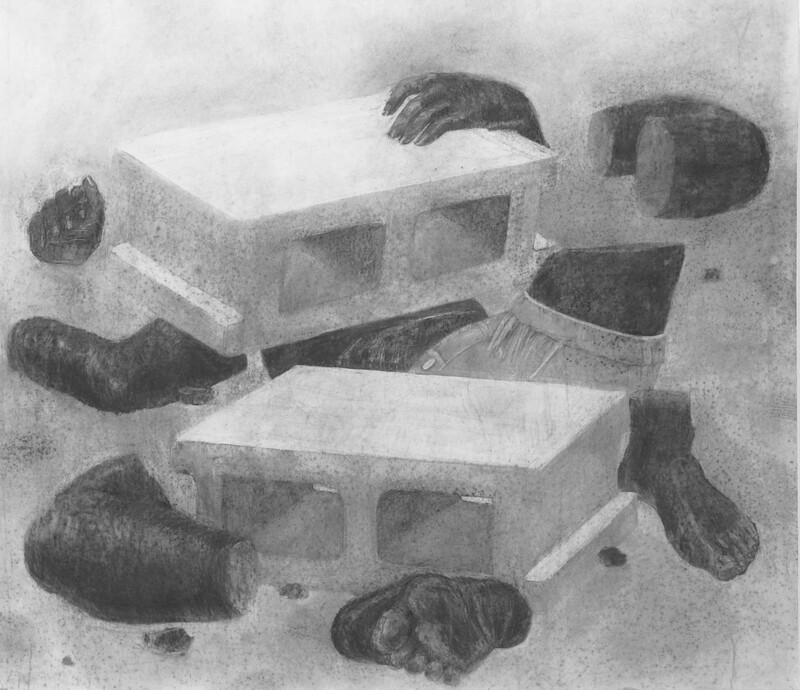 Her recent work explores the politics of visibility and invisibility, with regards to the cultural and social implications of violence and death in Jamaican society. Her Biennial projects are exhibited at Devon House and consist of two floor-based tapestry installations from the Dead Treez series, titled Lillies, Carnations and Rozebuds and Trunk Stump and Dominoes, that are embellished with needlework, crochet, glitter, and various objects, including clothing, shoes and children’s toys. Here is another in the series of reviews that were produced as part of the NGJ’s recent art writing workshop for its curatorial staff. This comparison between the self-portraits of Henry Daley from our permanent collection and Camille Chedda’s self-portraits in New Roots was written by Monique Barnett-Davidson. Monique is a Painting graduate of the Edna Manley College and is one of our two Curatorial Assistants. As an art enthusiast, I always enjoy tracking how artists over time have extended long-referenced concepts and subject matters to discuss and explore aspects of culture and social life. As I explored the recently installed contemporary exhibition, New Roots: 10 Emerging Artists, at the NGJ, I was excited to identify parallels between that and works from the NGJ’s permanent display of older modern pieces. Take self-portraiture for example. 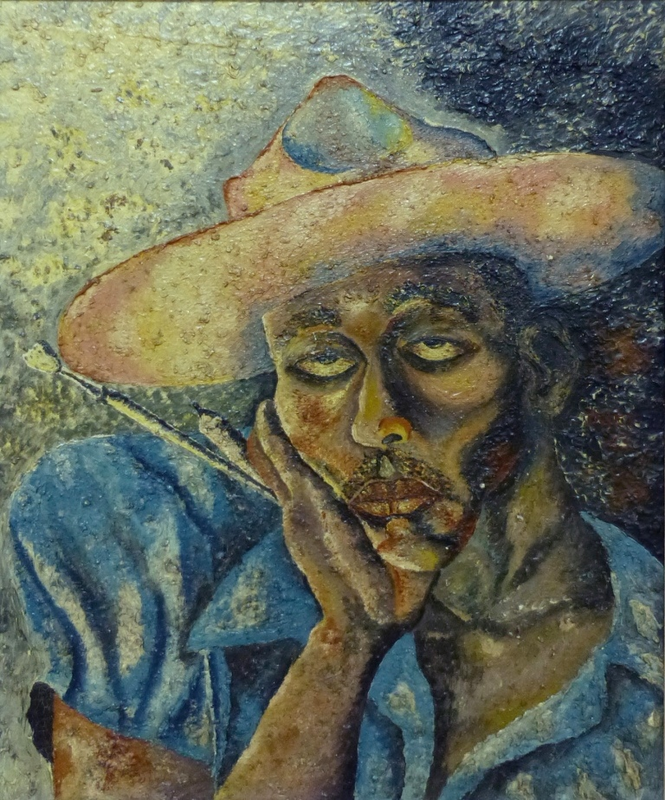 In Jamaican art, approaches to self-portraiture have been largely conventional. There are, however, some Jamaican artists who are exceptional and whose approaches to self-portraiture may be more aligned to figures like Van Gogh and Frida Kahlo. These artists – by consistently referencing themselves in their artistic output – set new standards of openness that move beyond the older heroic depiction of the artist, to the artist as a vulnerable, fallible and questionable human being. Recently, two Jamaican examples of this approach to self-portraiture have stood out for me. One work is entitled (and aptly named) The Artist (c. 1943), done by early twentieth century painter Henry Daley. The other, entitled Built-In Obsolescence (2010-2011) is executed by young contemporary artist, Camille Chedda. These two works illustrated not only a common interest in subject matter shared by these artists, but offered me a fascinating parallel between two different time periods and generations within Jamaican art and cultural history. Camille Chedda was born in Manchester, Jamaica in 1985. She graduated from the Edna Manley College with an honours diploma in painting, and received her MFA in painting from the University of Massachusetts Dartmouth. 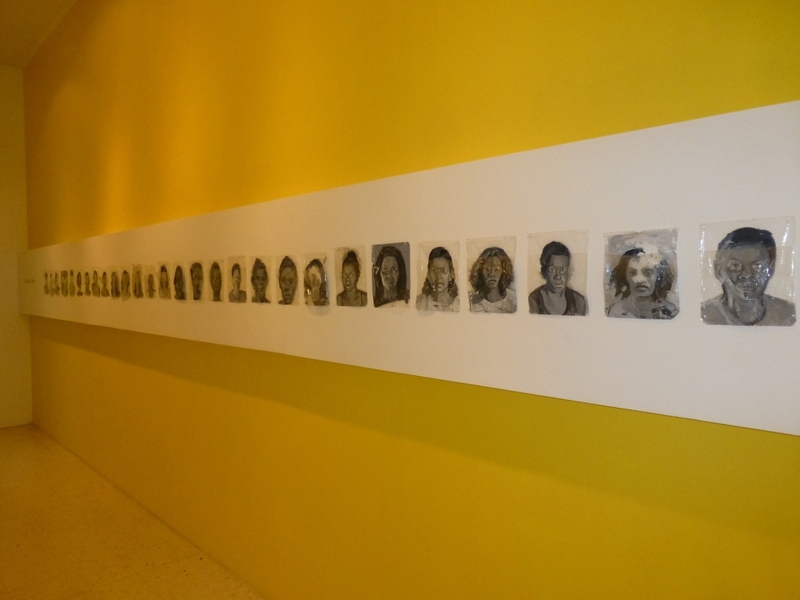 Her works have been featured in major exhibitions at the National Gallery of Jamaica, where she was featured in the National Biennial (2006, 2008, 20 12) and Materializing Slavery in 2007. She has also exhibited internationally in Boston, New York, Germany and China. 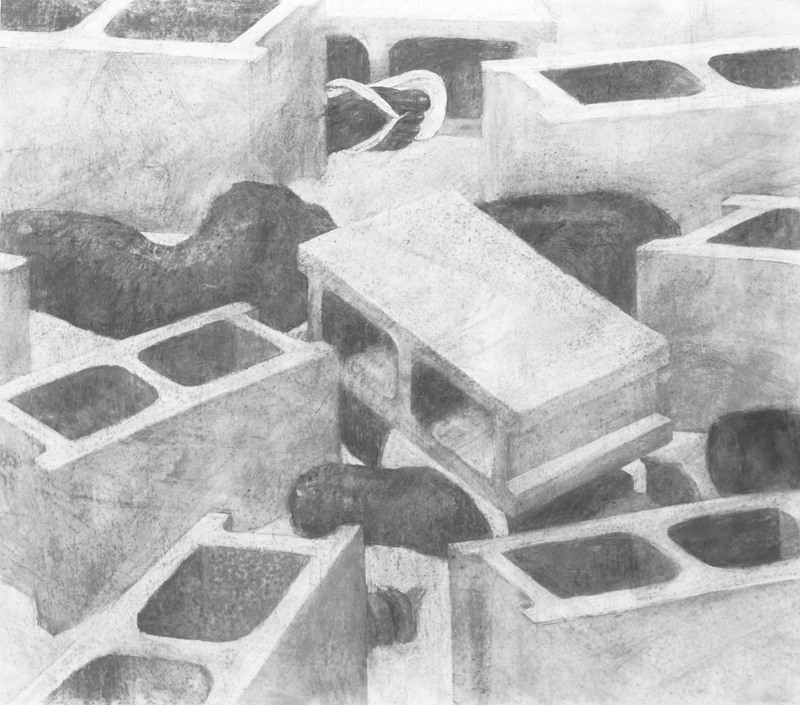 Chedda was a part-time lecturer in drawing at the University of Massachusetts Dartmouth and is the recipient of numerous awards including the Albert Huie Award, the Reed Foundation Scholarship and a Graduate Thesis of Distinction from the University of Massachusetts Dartmouth.